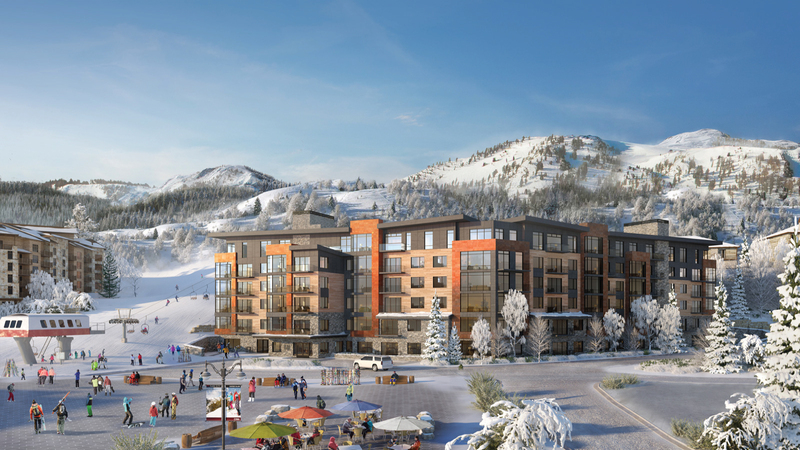 It is an exciting time in Park City as there are numerous new developments, both announced and currently under construction, please scroll down to learn more about each individual project. 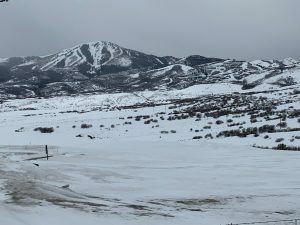 Last new development available at Silver Lake (mid-mountain) Deer Valley. 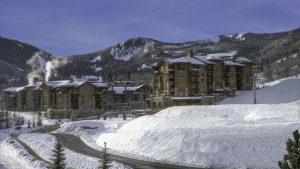 40 luxury ski in ski out condos. 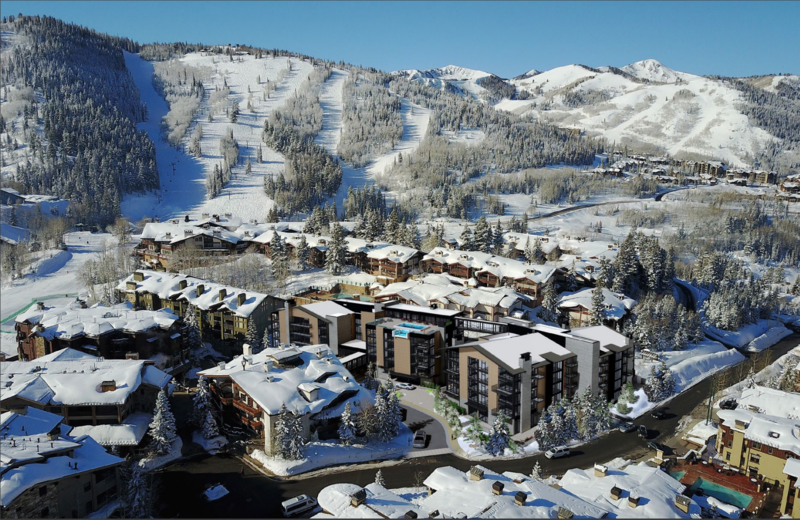 20 luxury ski in ski out condos (2-5 beds) located at the base of the Silver Strike chair lift in Empire Pass, Deer Valley. 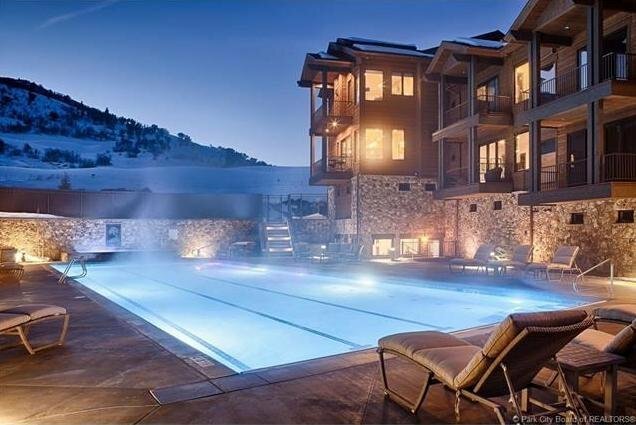 Each condo has an outdoor deck with hot tub and expansive views of Deer Valley. Prices start from $2.72 mio. Expected completion is Spring 2020. 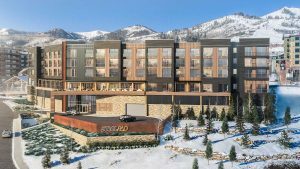 Old Town’s last ski in ski out development. 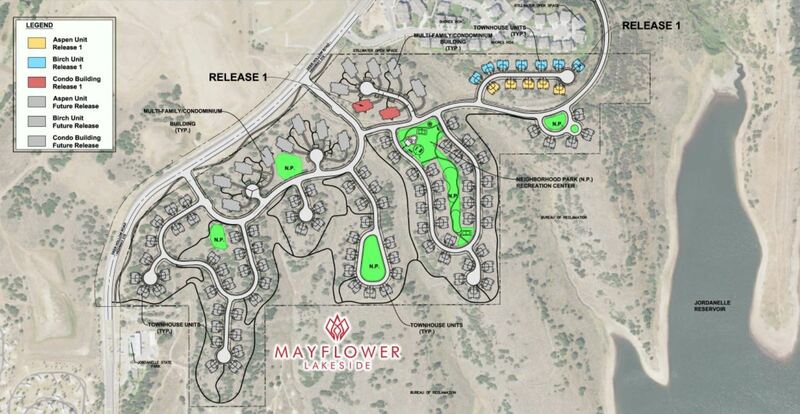 Homesites, townhomes and condos. Prices start from $809k. 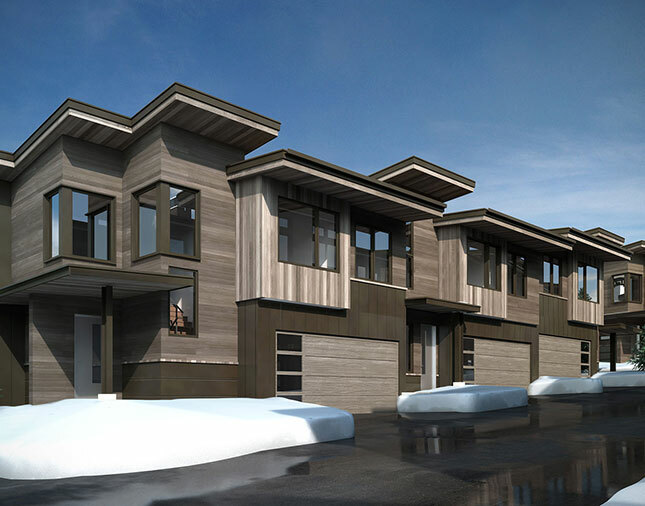 44 contemporary ski in townhomes in the heart of the Canyons Village area of PCMR. It will be comprised of 4 and 5 bedroom units ranging in size from 2,600-3,600 sq ft.
Prices start from $1.6 mio. 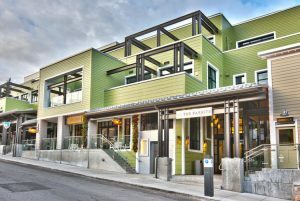 Latest luxury hotel offering from Montage Hotels at the heart of Canyons Village, Park City. There will be 150 units with prices starting from $395k for the studios. 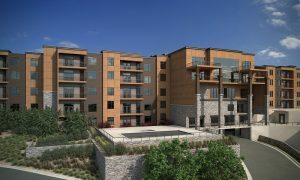 60 mountain contemporary townhome style condos located at Canyons Village, close to the Frostwood Gondola and 9th & 10th holes of Canyons golf course. 2-5 bed units with current pricing starting at $925k. 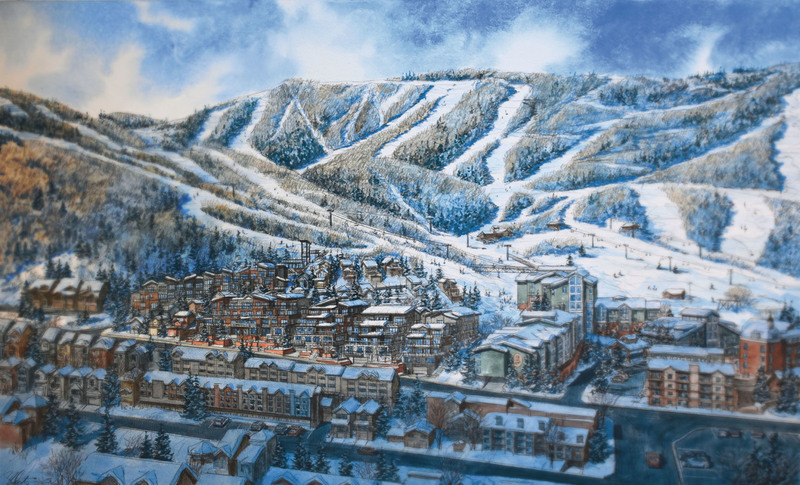 Sophisticated ski through community at the top of Canyons Village. Great views and great amenities. Single family homes, townhomes and penthouses with prices starting from $1.375 mio. 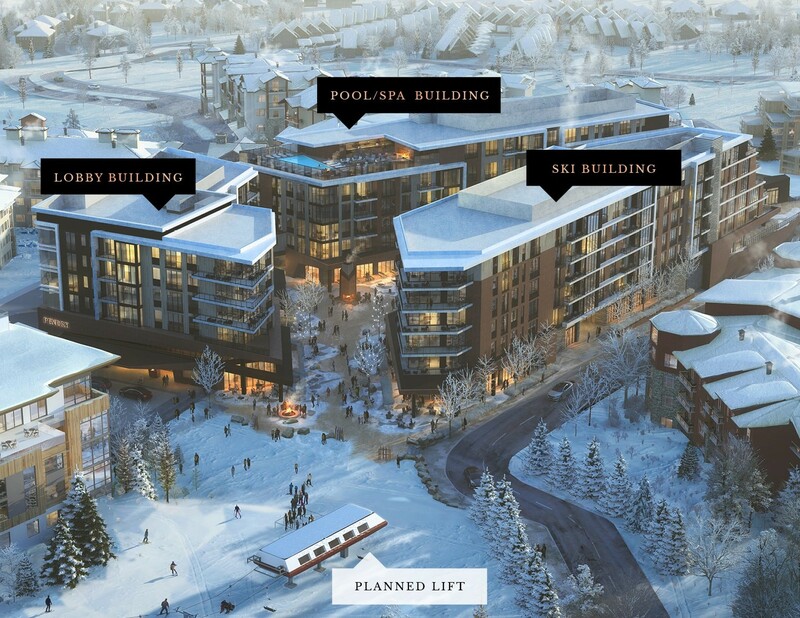 61 luxury ski in ski out residences located right beside the Sunrise Chairlift. 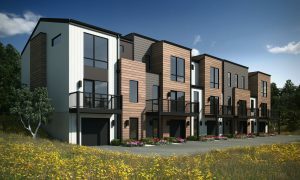 1-5 bedroom condos. Prices started from $575k. 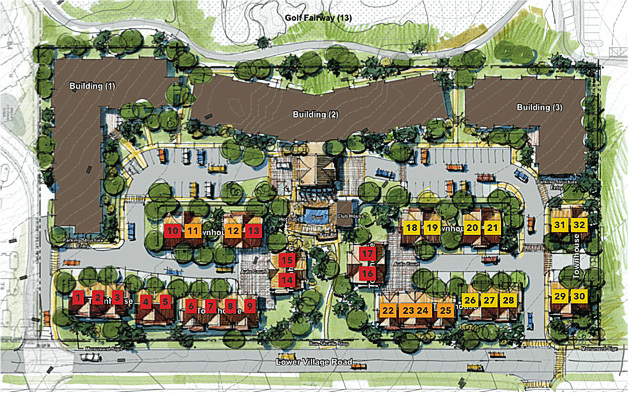 32 townhomes and 60 flat stacked condos located near the base of Canyons Village and walking distance to The Cabriolet. 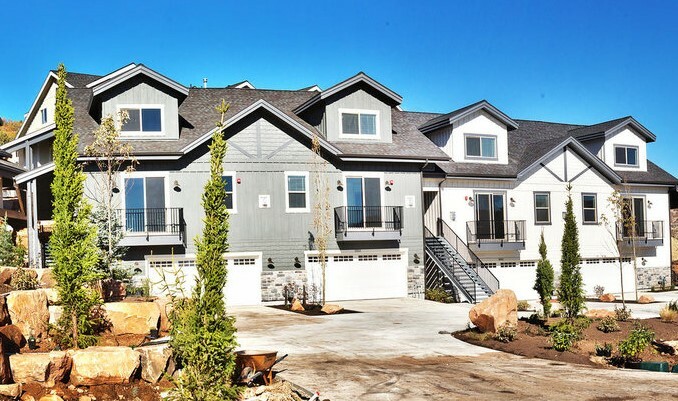 2 bed condos and 3 bed townhomes. Prices starting from $600s and $800s respectively. 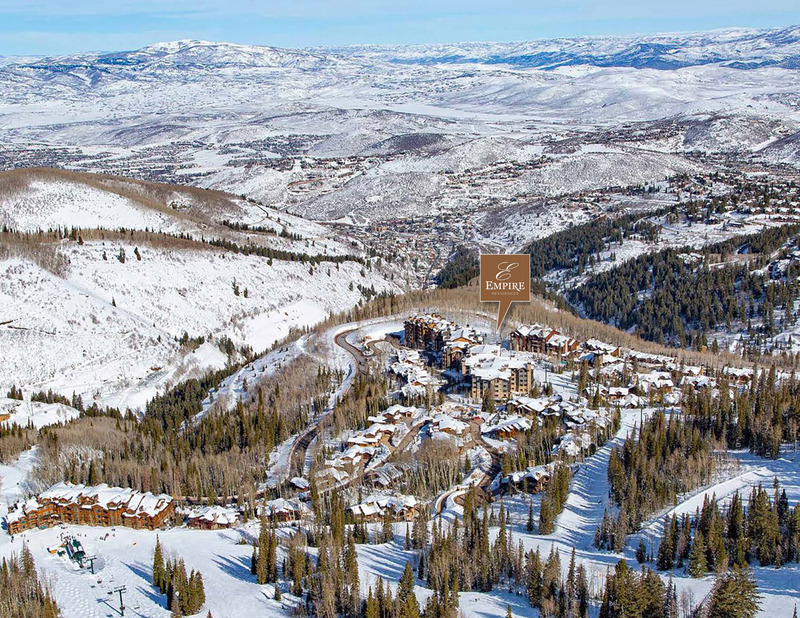 A community of Luxury Ski and Golf Villas and attached townhomes. 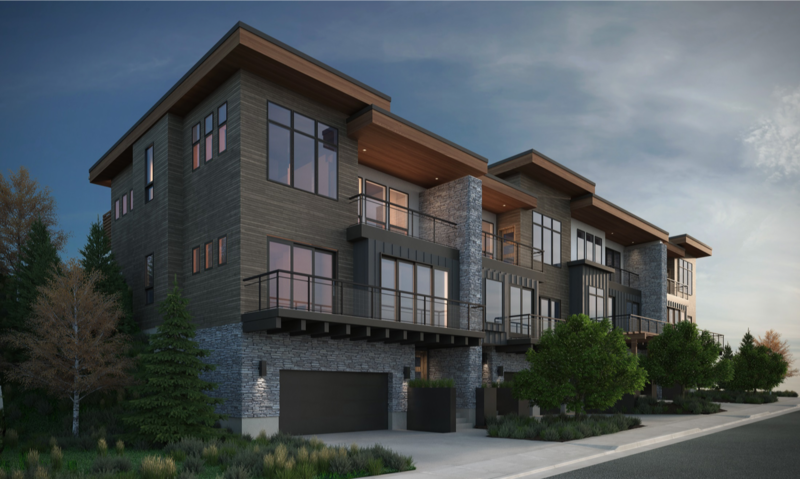 68 3 bed 3.5 bath townhomes located on the SW corner of Pinebrook Rd and Kilby Road. Perfect location for that Salt Lake commuter that wants to be in the Park City school district. All townhomes come with a 2 car garage. Prices start from $649k. 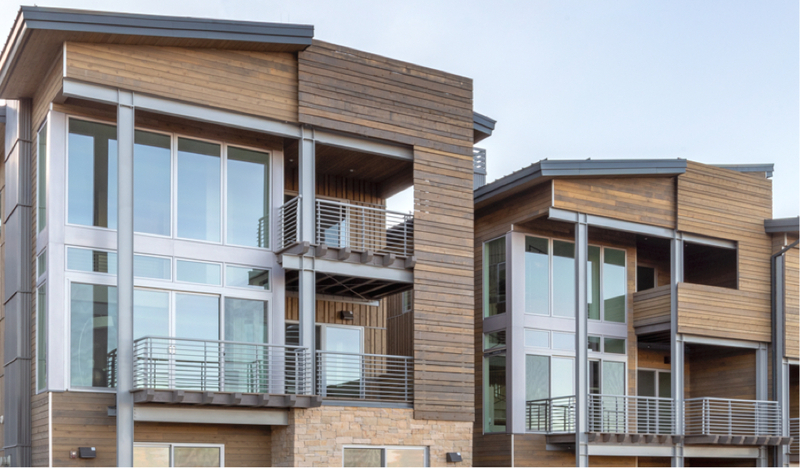 54 townhomes and 41 single family residences located between Summit Park and Pinebrook. 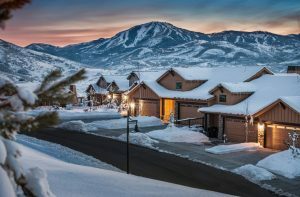 Within the Park City school district, 15 minutes from downtown Salt Lake. First phase is 15 townhomes with 2 car garage. Prices start at $680k. 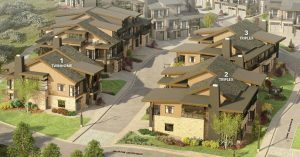 88 contemporary townhomes in a 60 acre development between Deer Mountain and Soaring Hawk. Mainly 3 bedrooms (some 4s) at approx 2,500 sq ft.
Prices start from high $600s. 197 Condo/hotel units in a resort atmosphere. The resort will have a full service restaurant, 3 ice rinks, and a year round heated pool. The units are primarily 2 bedroom units with approximately 1270 sq ft.
Prices start in the high $300s. 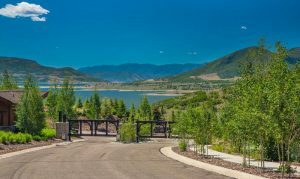 154 lot master planned community with plenty of dedicated open space and big views across the Jordanelle Reservoir and Deer Valley ski resort behind it. 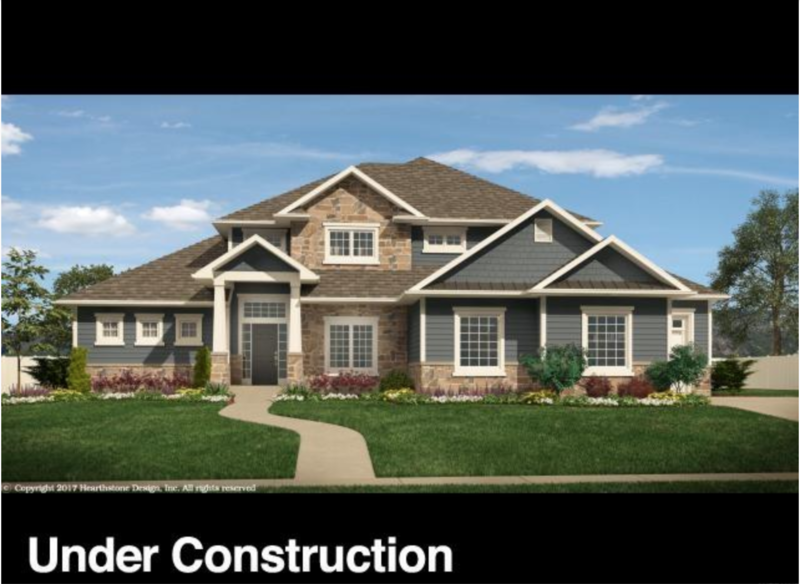 Lot prices start from $150k and completed homes from $800k. 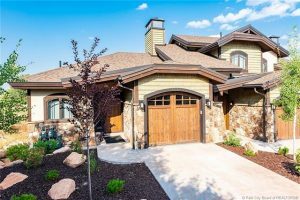 Gated community with 103 Homesites on 400 acres. 200 unit community of duplex properties with 40 being released in the first phase. 485 luxury single family homesites on 670 acres. 50% is dedicated towards open space. Amenity rich with some golf, equestrian as well as central clubhouse facilities. Homesites range from 7,000 sq ft to in excess of 2 acres. Prices start from $220k. Luxury twin townhomes and elevator serviced flat stacked condos. Prices range from $725k and $525k respectively. 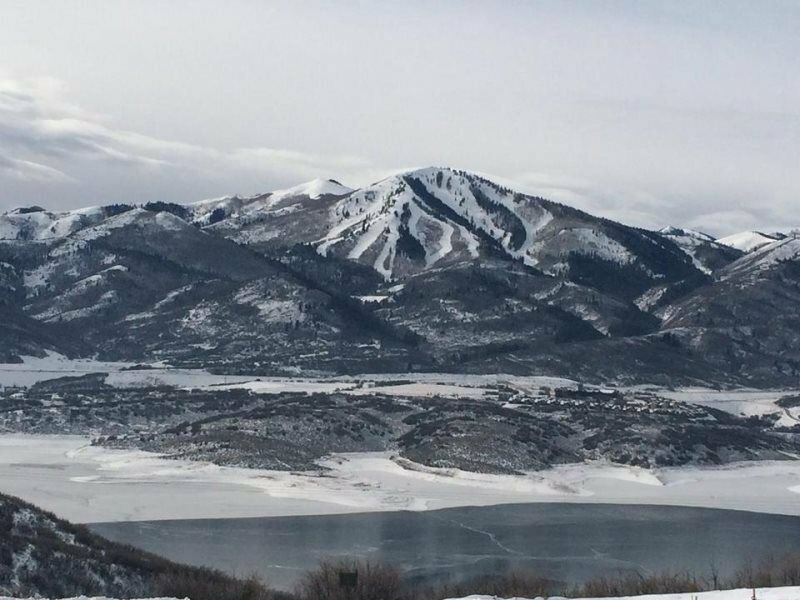 Great location in between the Jordanelle Reservoir and Mayflower Mountain Resort (planned Deer Valley expansion). 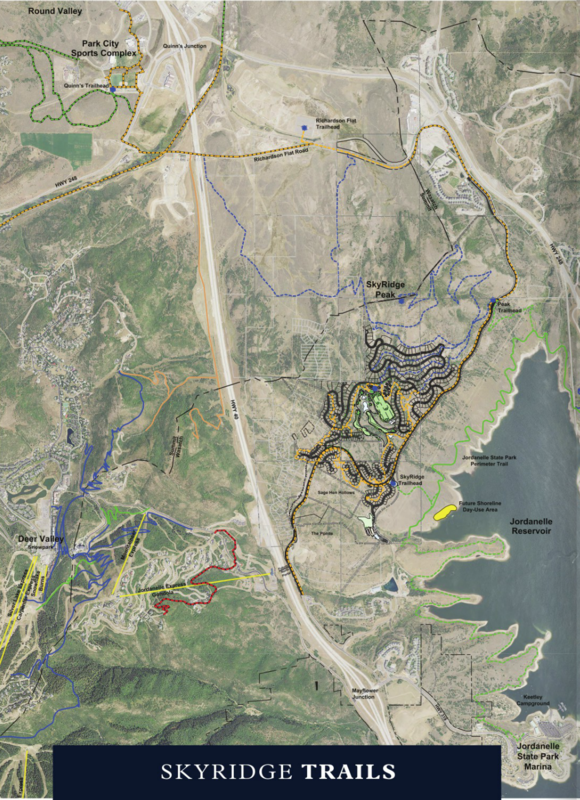 New planned community in north-east Heber – in between Valley Heights and Red Ledges. 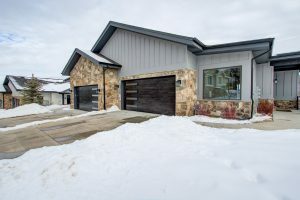 Semi-custom homes built by Salt City Construction. Numerous different floor plans to choose from.